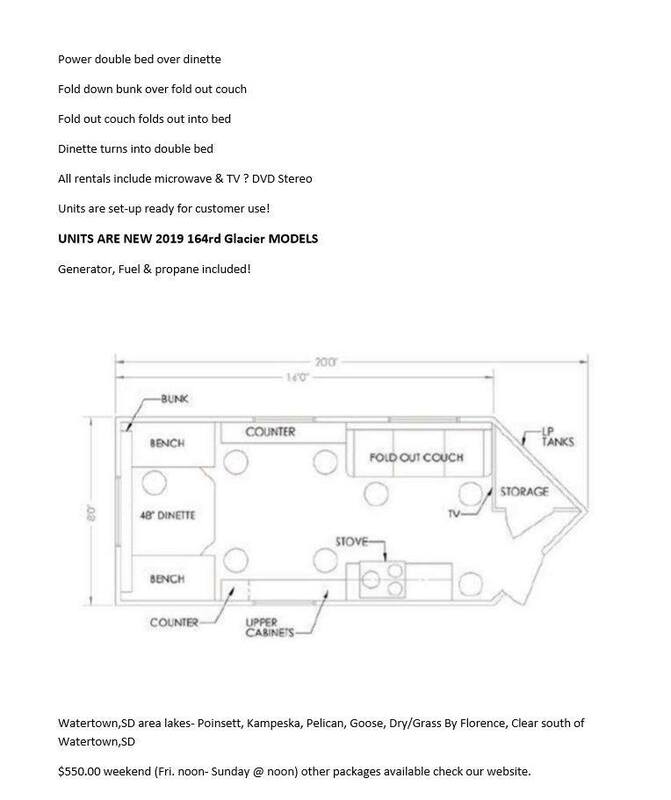 Glacier South Dakota Sleeper Ice house rental info! 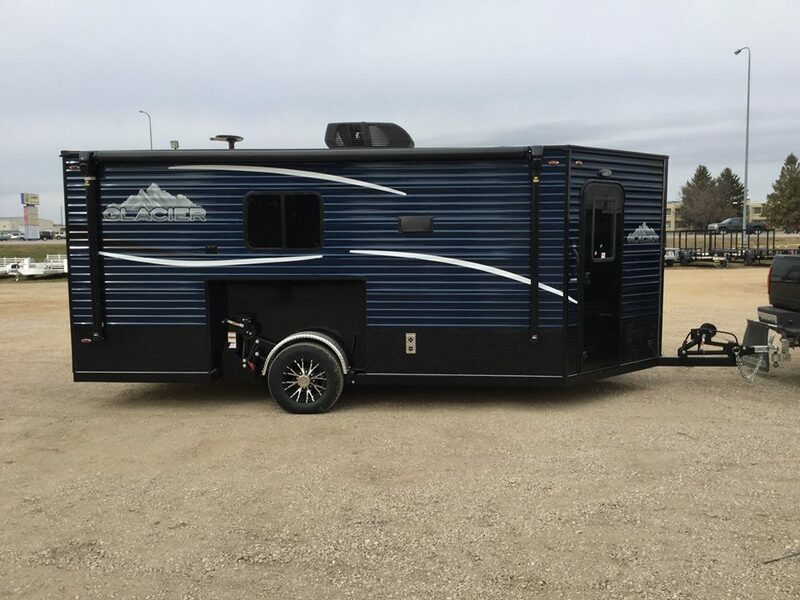 Northeast South Dakota Lakes we rent on- Kampeska Pelican, Clear Lake south of Watertown, & Lake Poinsett Shack rentals , All rentals Includes set-up ,propane , generator, TV w/antennae & DVD player stove & oven. Week day 1 night Rate-$275.00- Week days only (Sunday @1 PM- Friday morning @ 9 a.m.) will not include a move. But all other amenities listed above. Option #3 BOOK NOW! DATES FILLING UP FAST! Weekend rate will include one move on lake you have rented the house on. INCLUDES ATV & SKID SHACK! We have to have guidelines so we can continue to provide optimal units & service for our customers!!! YOU ARE RESPONSIBLE FOR DAMAGE TO ANY EQUIPMENT-IF YOU SEE SOMETHING DAMAGED AHEAD OF TIME YOU MUST NOTIFY YOUR HOST! WE RESERVE THE RIGHT TO REFUSE TO RENT TO ANYONE FOR ANY REASON WE SEE FIT! EXCESSIVLEY DIRTY HOUSES WILL BE CHARGED A CLEANING FEE AT OUR DISCRETION-WE DON’T WANT TO Charge it or clean it! SO KEEP IT CLEAN! We will allow date moves or cancellations due to poor ice conditions determined by our staff.